“I have purchased a villa at Lavasa. I have paid 90 per cent and the builder has stopped work saying that they have run out of money. The villa was to be delivered 3 years ago. What should I do?” This is a question posed at PropTiger.com website by Dr A M Shahi (name changed), a regular visitor of the property advisory portal. He is not alone. Reports of real estate developers going bankrupt keep pouring in, making buyers jittery. Who is to be blamed for the mess buyers are in? Industry experts often blame their lot. Most homebuyers, they say, do what they are being asked to. Their network of advisory professionals extends to their own extended families, peer groups, other homebuyers in the project and spouse. Despite all the research about the project they are investing into, their research about the developer fails them. What should they do, then? First, always ask for the payment plans developed by the developer company. If the developer company is asking you for an amount that wasn't agreed upon initially, it amounts to flouting of the contract. Similarly, if the developer asks you for an amount that does not justify the work being done, he is breaking the contract. The initial stage of construction consists of building the columns or slabs and then brick and wall construction. Towards the end of the project, the developer has to concentrate on providing building services. Previously, by the initial stage or the Reinforced Cement Concrete stage (RCC), the developer was able to collect as much as 80 per cent of the cost of the apartment/unit. However, experts are of the opinion that only 40 to 50 per cent of the funds collected would actually be required to complete the initial stage. Going by that calculation, if you feel that the developer is overcharging or demanding additional finance, you must raise the issue. If the developer threatens to abandon the project midway due to want of money, you could file a police complaint as well or approach a consumer court. The terms of builder-buyer agreements are often construed to serve the interests of the developer. In such a case, the judicial system may not be able to serve you. So, if you feel your sale agreement needs re-writing of terms, ask the developer firm to do so. For example, there should be a clear mention of how much would be the compensation if the developers detracts at any point. The timeline of the construction should be logical and strictly binding on the developer. It is important to include such clauses in the beginning. Once you have bought the flat, such changes could be far from reality. A developer would try to keep his floundering condition to himself as long as he can. To make sure it remains that way, he would try to communicate as less as possible. Generally, if you are paying EMIs for a home, you would receive communication from the bank as well as the developer firm. If communications from the developer's side has slowed down or has spaced out, do inquire. Is he knee-deep in debt? Not an ideal scenario at all! If your developer does not have sound financials, this could turn messy. The Jaypee Infratech case stands as an example in front of us. 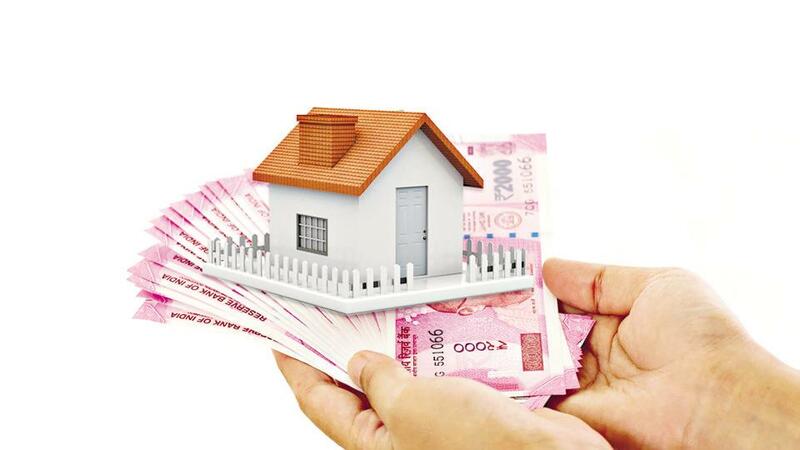 Buyers in such a scenario need to be alert at any visible signs of bankruptcy. In Shahi's case, if the developer says he has run out of money, the first step is to lodge a claim of property in the consumer forum. In case insolvency proceedings surface, your property or the claim to it would be noticed and recorded. If there aren't any such proceedings, you must sue the developer in a consumer court. Ideally, he must compensate you. If your developer also has a lot of unpaid property taxes, this, too, could be a worry. Suing a developer at the earliest would help the court attach his personal assets and recover dues owed to the tax department by liquidating these. In such a scenario, your property would be safe. Do note that it is not easy to understand how debt-ridden your developer is. If a bank is financing a certain project, it can help you understand the developer's financial health as well as legality of the project. In short, reading the signs is very important. At present, the real estate law has come to homebuyers' rescue and is applicable on new, under-construction and incomplete projects. Therefore, any violation speedily goes to the authorities concerned once you file a complaint. There are strict terms binding on developers which ensure that structured sellers would maintain a separate account and therefore the financial health of operating developers is to an extent ascertained. For existing projects, as in Shahi's case, consumer forums are the way out. The Maharashtra Real Estate Regulatory Authority (MahaRERA) is in the process of laying down a Standard Operating Procedure where homebuyers of a residential property will have the power to remove the builder from a project in case of undue delay. In case the developer goes insolvent, homebuyers are now financial creditors. This means he/she has equal rights as banks and institutional lenders which makes it easier than before to recover the money. The Supreme Court (SC) has ruled that a developer's clauses are not binding on the buyer if it is shown that the homebuyer had no option but to sign it. One-sided clauses in an agreement is now unfair trade practice as per Section 2 of the Consumer Protection Act, 1986. The decision was taken in the Pioneer Urban Land & Infrastructure Ld versus Govindan Raghavan case.